On September 25, 2018, the Virginia Board of Pharmacy met in closed session for more than five hours before awarding five conditional permits to five separate companies who will likely become the first Pharmaceutical Processors of Medical Cannabis in Virginia. Following this exciting announcement, these conditional license permittees will undergo background checks and, upon satisfactory results, will begin the arduous process of creating Virginia’s first vertically integrated Medical Cannabis cultivation, manufacturing and retail facilities. The state’s program started in earnest in 2015, and due to the advocacy of Virginia patients, caregivers, legislators, and healthcare providers, expanded to its current state in just three short years. Virginia has long been a conservative stalwart when it comes to marijuana policy, but in 2015, a new breed of advocates made their appearance both on the national stage and in the Virginia General Assembly. These fresh faces included families with sick children in need of Medical Cannabis for life-saving purposes. Mothers and fathers concerned for the health of their children were vocal--asking their legislators for help. Because of the lack of legalization or other legal allowances for Medical Cannabis in Virginia, families were facing tough decisions regarding whether to separate so that the sick family member could live in a state in which he or she could legally access marijuana for medicinal purposes. Virginia NORML and Cannabis Commonwealth worked alongside these families, continuing their work to advance cannabis reform and to educate legislators and other stakeholders. Ultimately, the legislature passed what’s known as a “criminal affirmative defense” for possession of Cannabis oils by patients with, and caregivers of patients with, intractable epilepsy. **A criminal affirmative defense is a defense in which the accused introduces evidence that negates criminal liability, even if it is proven that the accused committed a crime. Because possession of Cannabis in Virginia was (and is, still) a crime, the 2015 law meant that, as long as certain facts were true (e.g., that you possessed it for the purpose of treating intractable epilepsy), even if you were found in possession of Cannabis, you would not be found guilty of the crime of possession. In the 2016 legislative session, the same group of advocates pushed for the Virginia legislature to expand the law to allow for in-state production of Medical Cannabis. This was important because the best option for Virginia families who wanted to purchase these oils was to purchase them legally in Washington, D.C., and then bring them across state lines (a federal offense) into Virginia. The legislature passed SB701, which would have authorized a Pharmaceutical Processor, after obtaining a permit from the Board of Pharmacy (Board) and under the supervision of a licensed pharmacist, to manufacture and provide cannabidiol (CBD) oil and THC-A oil to be used for the treatment of intractable epilepsy. Senate Bill 701 did not take effect in 2016, however, because it was passed with a reenactment clause. The reenactment clause meant that the bill would not become effective unless reenacted by the 2017 General Assembly. The exception to the reenactment clause was that the bill required the Board of Pharmacy (BOP) to immediately begin promulgating regulations for the Medical Cannabis program. During the interim between the 2016 and 2017 legislative sessions, the Board of Pharmacy convened a regulatory advisory panel to draft the regulations, which were based on Connecticut’s Medical Cannabis program, to introduce to the General Assembly in 2017. In the 2017 session, there were several Medical Cannabis reform bills moving through the General Assembly. The House Courts of Justice Criminal Law Subcommittee requested that a physician testify regarding Medical Cannabis, to inform their decisions regarding these bills. Senator Siohban Dunnavant (R), the eventual sponsor of the Senate pharmaceutical processor bill that passed this Spring, agreed to testify. Senate Bill 1298, sponsored by Senator Jill Vogel (R), would have expanded the list of conditions that would qualify an individual for an affirmative defense beyond intractable epilepsy. These included cancer, glaucoma, human immunodeficiency virus, acquired immune deficiency syndrome, hepatitis C, amyotrophic lateral sclerosis, Crohn's disease, Alzheimer's disease, nail patella, cachexia or wasting syndrome, multiple sclerosis, or complex regional pain syndrome. Senate Bill 1298 died in subcommittee in a split vote, and no other bill made it through to General Assembly vote. However, the Courts of Justice committee drafted a letter to the Joint Commission on Healthcare requesting a legislative study on Medical Cannabis to be conducted in the interim between the 2017 and 2018 sessions. Sen. Dunnavant and Delegate Benjamin Cline (R), who would eventually sponsor the House bill that passed this spring, sat on the Joint Commission. At this time, support for reform of the state’s Cannabis policy had grown significantly, in and out of the General Assembly. The Medical Society of Virginia, the Virginia Breast Cancer Foundation, and a coalition of advocates called Virginia Families for Medical Cannabis, were all aligned in their desire to have in-state production and expansion of the list of qualifying conditions. This created an environment that, for the first time, seemed to indicate that broad reform was possible. Ultimately, the Joint Commission voted in favor of the policy position “Let Doctors Decide.” Advocates scrapped the policy of expanding condition lists and drafted legislation that completely eliminated discussions regarding conditions, and instead focused on legislation that would grant physicians the authority to make recommendations regarding what is best for their patients. Sen. Dunnavant and Del. Cline introduced identical bills (SB 726 and HB1251) in the 2018 session, which were considered in several committees in the House and Senate, including the health committees and the subcommittee that tabled it in 2017 (now called the Courts of Justice Subcommittee #1). Those bills were adopted, unanimously, by both houses of the General Assembly, and signed by Governor Northam on March 9, 2018. After the legislation was signed by the Governor, Virginia’s Board of Pharmacy embarked on a months-long process of accepting and reviewing applications for in-state production—a process which concluded on September 25, 2018. 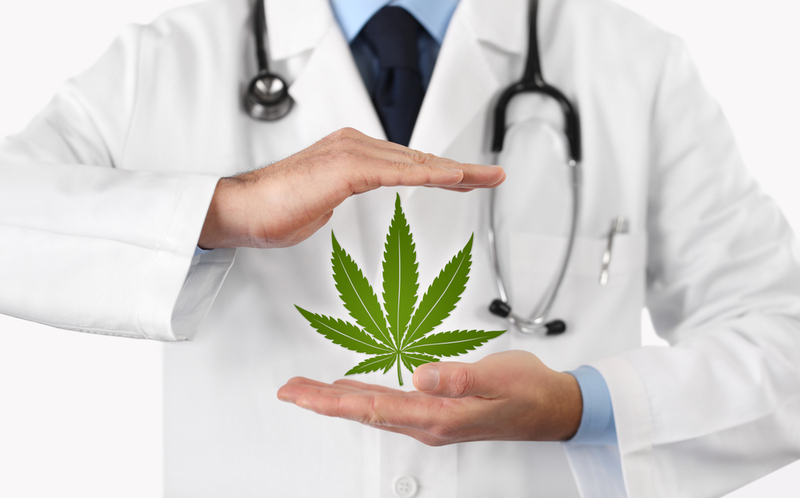 For more information about the Medical Cannabis law and policy, including those related to hemp and marijuana-related products, please contact us for a consultation.